The Partagas Shorts is Partagas’ small superstar, full body, of Petit Corona format, 42 ring gauge, 4.3” (110mm) long and comes in a box of 25 cigars. It packs all the typical Partagas flavors, its flavor profile is somewhat similar to the Partagas Serie D No.4, with plenty of cedar, pepper and earthy tones. 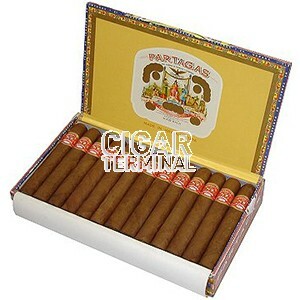 •	A great summary of what a great Partagas can be. This is a great cigar to have on hand when looking for a full bodied classic Habana but you're short on time. The Partagas Shorts is a well rolled cigar, with a rugged, reddish brown, oily and minimal veiny wrapper with an even, tight bunch. Solid triple cap application. Lighting is pretty easy for such a short cigar. The draw is very good. The burn is as good as it can get. Partagas Shorts have been my go-to cigar for years. 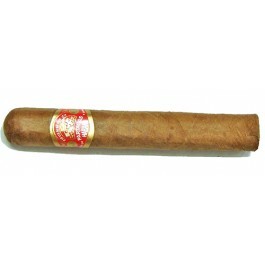 They are everything you would expect from a high end Cuban cigar at a very reasonable price. However, recently these cigars have been hit or miss. Not sure if they are being rushed through production, being rolled by inexperienced trainees, or just a bad crop year. I have found the last 5 or 6 boxes to have more tight rolled cigars and flat tasting cigars than ever before. While still a great cigar, they are not what they once were. I got this as part of the sampler and smoked one within 3 days of arrival. Draw was very tight so could not really enjoy the cigar. Cigar was very hard and tight, with no spongy feel at all. I will let the other cigar from the sampler sit in the humi for another week and give it another try. Delivery was quick and cigars arrived in great condition, other than the tight draw. Arrived in good condition, though on the dry side. I've been smoking these great cigars for more than 15 years now, and they always feel like smoking something new and fresh. A must have cigar for any humidor. Ok, so I usually get the shorts in the 50 cabinet, but Cigar Terminal is currently out of them. So, I bought 3 boxes of these. Got my first box today and WOW - box code october 2014! Most have a very nice plume on them and of course I smoked one this afternoon. Simply fantastic! Hard to believe what a little age can do. Going to try to let at least one box sit for a couple more years and see what I get. Great smoke, smooth, and no bite. I can't wait to see the other 2 boxes!